For over a week now, I’ve been putting off writing this post. There have been so many ’niggly’ things to attend to and it’s been difficult settling back into and catching up with work. 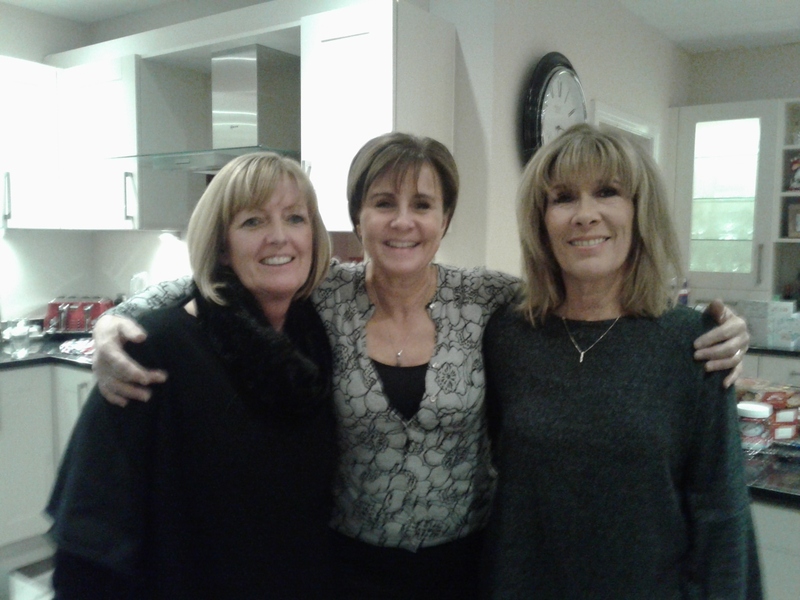 I am still grieving for the loss of my sister, Leonie. Ralph – who is quite impossible to photograph when he is constantly on the go. 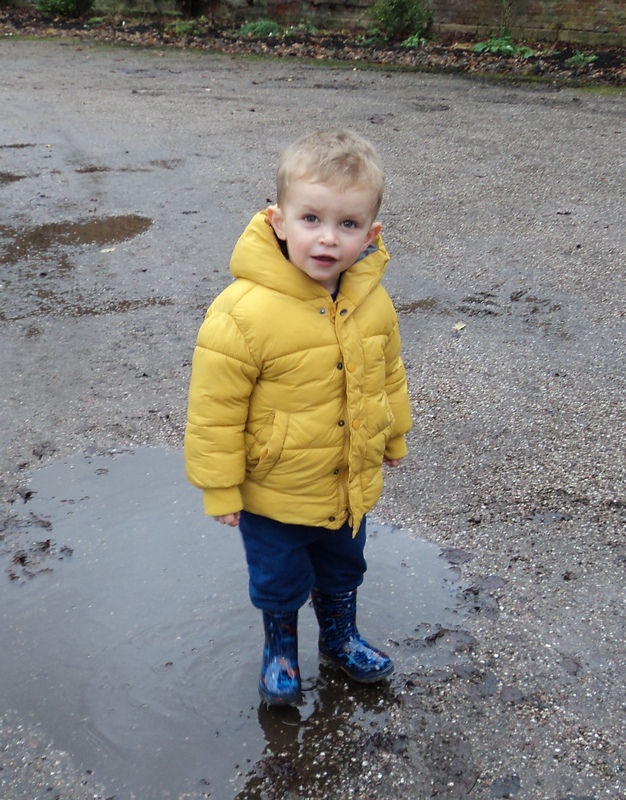 Here I got lucky as he went to splash in a puddle at Attingham Park. I returned to the UK for Christmas and New Year on the 19th December and spent the first four days with my lovely growing family! Zoe and Rich collected me from Karen and Mike’s and we drove down to Shrewsbury to stay with Emma, Ash and Ralph. As always, it was wonderful to spend quality time with everyone again, although I have to say that Ralph is still my favourite for playing with! That’s pretty much all I did at Emma and Ash’s, because he is just the cutest little boy and I am obsessed! We all had three wonderful days relaxing, having fun, eating out, shopping and walks. 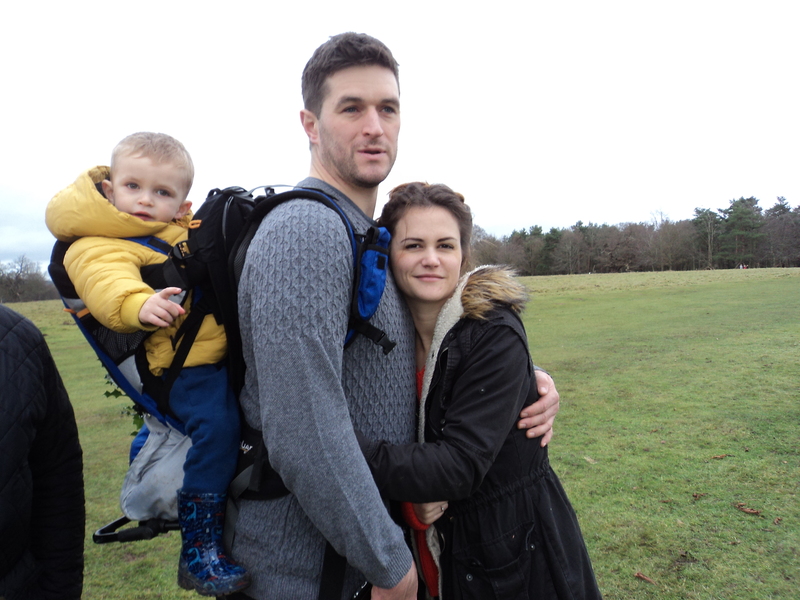 We visited a beautiful park and stately home in Shrewsbury, called Attingham Park. When we arrived there we first asked to visit the Santa’s Grotto but sadly, it was fully booked so we couldn’t take Ralph for his first visit to Santa. I think that we were more disappointed than Ralph was! Never mind, we decided to take a good look around the mansion and found it to be quite fascinating! Rich, Zoe, Ash, Ralph & Emma – Inside the stately home at Attingham Park. There was a Christmas tree in almost every living room! After we’d had some lunch in the cafe there, we went for a long walk in the woodlands and surrounding grounds. Ash pointed out several interesting features along the way, having lived and played in this area when he was a small boy and young teenager. The walk was exhilarating and Ralph was totally absorbed in exploring everything. He was such a joy to watch. When he got tired, Ash carried him on his back, especially when we were able to walk so close to a small herd of Reindeer. We found lots of little dens made from broken tree branches, scattered around and just the right size for Ralph to walk comfortably into! It was Ash’s Birthday on the Friday and in the morning Ash’s parents, Phil and Ange and also his brother and sister, Austin and Danielle, all popped in to wish him well. In the afternoon, we went into Shrewsbury town centre to do a little last minute Christmas shopping and discovered they had a Santa’s Grotto in the precinct! We were just in time to book a visit in for Ralph – the last one of the day! I wish I knew how to post up the video I took of him. He was so cute and polite and pleased with the book he got from Santa, Ralph loves his books! The days just flew by and the nights after Ralph had gone to bed, we watched some great movies which is something I rarely do. Ralph and I play with the false snow in Shrewsbury Town Centre, whilst waiting to see Santa! Emma and Ash were spending Christmas Day with Ash’s family and Zoe and Rich were spending it with Rich’s Dad and anyway, Rich was on call all Christmas Day. So these few days we all had before Christmas were wonderful and special. It was indeed fortunate that Zoe, Emma, Rich and Ash were all able to get this time off work. Although I did not think I would be able to see them all again before my return to Crete, thanks to my new tablet we had skype contact for the rest of the time I was in the UK. I was back at Karen and Mike’s by Saturday teatime. Mum was also staying and Sophie and Hannah had moved back home for Christmas and New Year. So there was just the six of us for Christmas Day and it was exactly what we wanted because we all miss our beautiful Leonie so much. 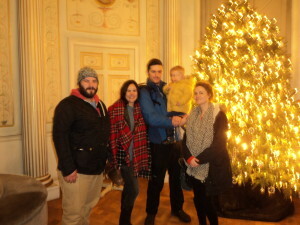 On Boxing Day Karen and Mike drove down to London to stay with their son Rob, his fiance, Emma and their new baby Grandson, Jack. Sophie and Hannah went too. With Mum and I left to our own devices – we got cracking on a jigsaw that was a Christmas present for Mum – and completed it in one day! Despite both of us coming down with colds and continuously blowing our noses, we just couldn’t stop doing that jigsaw! Zoe was able to visit after work the next day and she stayed the night, so that was a bonus. Sadly the rest of my stay was dogged with cold symptoms and tummy cramps and as a result I got very little sleep. Luckily, after taking something to ease the cramps, I was able to enjoy a lovely evening with my dear friends Jill and Rick, who took me out for a great meal at Gusto’s, the night before New Year’s Eve. Jill booked a surprise holiday for Rick’s 50th Birthday and they will be staying with me in June. The medication also meant I didn’t miss out on the traditional Whelan New Year’s Eve Party, and so I am grateful for that. New Year’s Day was spent recovering from the night before and packing for my trip back home. Back on Crete I have spent the last two weeks doing all the things I have been putting off for far too long. A priority was to finally search for someone who can promote my online Etsy shop, which I don’t have the time or ability to do myself. My unique style of fine art collages is in a very niche market, I think and I need a good marketing plan. I still have quite a list to do but feel I am finally getting somewhere. For the first time I have found it difficult to get back into my work, but now that I am sorting other problems out, my head is starting to clear and I really want to get stuck into a new project. I have a couple of commissions I would like to start working on and as soon as these other matters have been attended to, I will be doing just that. I also have some new ideas I’d like to progress and know that I will feel much better when I am back in the swing of things and am fully absorbed in my art again. Looking to the future… it’s set to be a good year with two family weddings taking place and these are really positive things to look forward to in 2018. Rob and Emma are getting married in June in Oxfordshire and Zoe and Rich marry in May here on Crete. 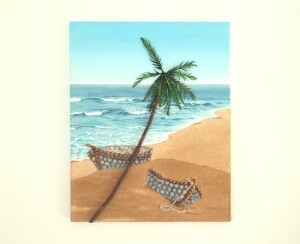 This entry was posted in Blog Posts and tagged fine art collages, Seashell Mosaic Fine Art by micmaryjo. Bookmark the permalink.